“You’re As Good As a Man.” How Your Bias Exposes You and Stigmatizes Others. — I Am Me! Not My Illness! “You’re As Good As a Man.” How Your Bias Exposes You and Stigmatizes Others. While stigma-enforcing statements against women are thankfully less and less common as we evolve, statements that stigmatize people who have a mental illness continue often unchallenged. It’s meant as a compliment. It’s based on an assumption - the strength behind a stigma - that a man is superior and I should want to be like a man. It’s called a sideways compliment because it comes out of nowhere and it’s not really a compliment; it’s offensive, belittling, and stigma-reinforcing as it lifts one up by putting down another. It ignores the person as it makes them a defective commodity. Despite the progress that we have made as a society, situations like this are, unfortunately, not a rarity. The #metoo movement (now rightfully evolved into #timesup) is proof enough of that as we are daily reminded of unfairness in society. But while these stigma-enforcing statements against women are thankfully less and less common as we evolve, statements that stigmatize people who have a mental illness continue often unchallenged. That’s another sideways compliment but this one can still be heard fairly regularly. It makes many assumptions but the most damaging is that normal is desirable and “he’s” not it, just an impressive facsimile. Often those who fight mental illness are expected to be the same as or similar to our mentally healthy peers and, if they're not, then it's expected that we would make every attempt to be. If you try hard enough and you're a female you can be as good as a man - total nonsense yet tolerated in the context of mental illnesses. If you try hard enough to get over your mental illness you can almost be as good as a normal person. If we can accept someone's individuality despite their race or gender we should be able to accept someone's individuality if they have a mental illness, shouldn’t we? When we pay someone a compliment we put our biases and beliefs on display for all to see. When we show surprise at seeing someone we know struggles with depression able to live their life and perform their work, we expose our bias and we strengthen the stigma. Poor him, he has been struggling with depression and he has to deal with all this stuff. Begrudging people the support they need and judging people based on the deficits you perceive in them reveals your bias and strengthens the stigma. Imagine begrudging someone the support they need and judging them based on their deficits If they have a physical health issue! Would that be tolerated? You can focus on a person’s deficits. That's your choice. But you could see each person as a whole, complete person, who will live their life to the best of their abilities and might need some support in the process. And if more people could understand, educate, and help redirect biases when they are spotted, the stigma might lose some of its weight off the shoulders of people we love. Do you care? Yes you do. If you didn’t care you wouldn’t be at the end of this post. You care. I care. More to come..
Is There Equity in Canadian Mental Healthcare? 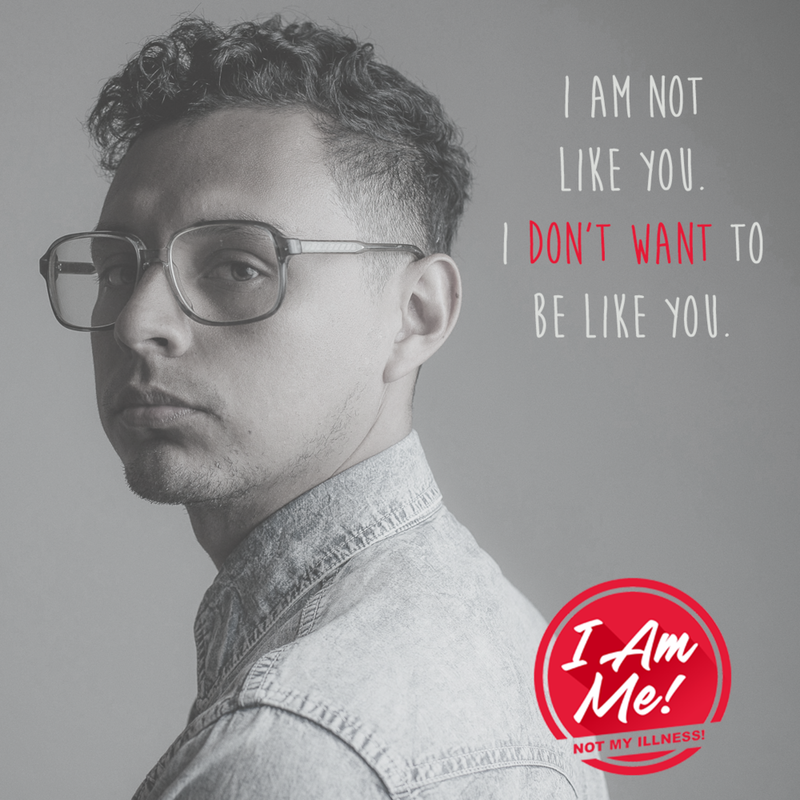 Copyright © 2018 I am me! Not my illness!